What a surprise ANOTHER Neptunia localization now with a new name! 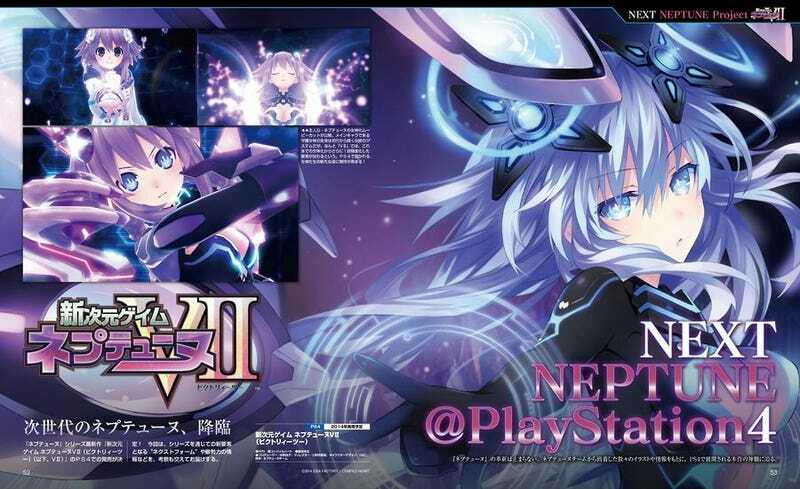 Okay I kid I kid, ever since this game was announced for the PS4 in Japan it was only a matter of time before it was announced for North America as every Neptunia game before it has gotten a release. However this is the big one for fans of the series as its been years now since a main series release and the first one since the series has seen its fan base be expanded with its Steam releases of the prequel Re:Birth games. Furthermore after the less then stellar Gallapagos RPG title Omega Quintet also for the PS4 Compile Heart fans really could use a return to the strong RPG form of Neptunia. In the end this title certainly won’t appeal to everyone but for those who are fans I’m sure early 2016 can’t come fast enough.